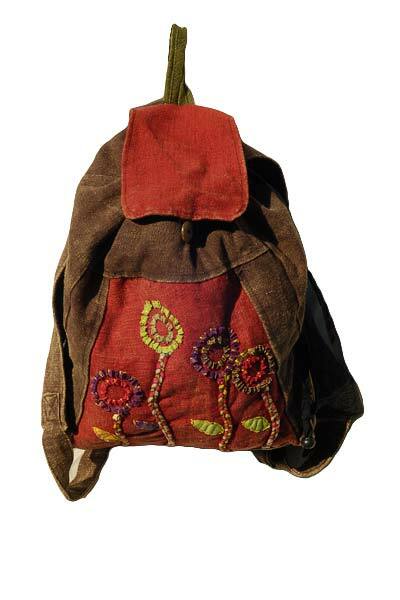 A festival rucksack with a red panel with flower designs on an overall brown background colour. 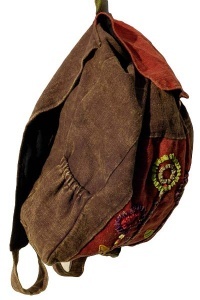 A unique and great looking bag which is also practical. 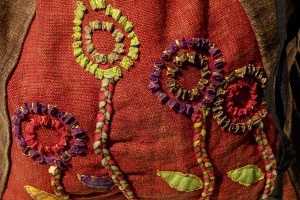 Two outside elasticated pockets - very useful. 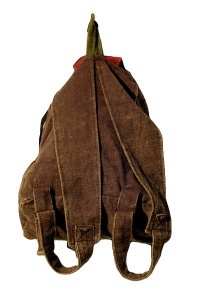 A strong and great looking bag. Wide shoulder straps - adjustable length from approximately 50cms - 87 cms. Base width - 10 cms.